Are you wondering how some sellers can survive (let alone make any money) on the rock bottom prices they sell their items for? Believe it or not, many long running sellers are not only surviving while selling at those rock-bottom prices, many are also be making more profit than others who are listing the same items at a much higher price! 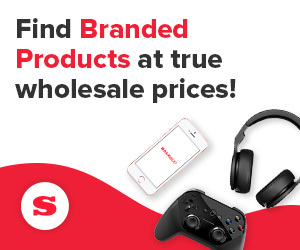 This is because these big-time sellers can get their goods super-cheap from the very best wholesalers, meaning they can buy more, sell more and make more profit! Why can large retailers sell goods so cheaply? Avoid any suppliers who charge extra fees. This will help to keep your costs per unit down and there are plenty of suppliers out there who will not charge any extra fees such as monthly memberships or charges to access their web site’s store – you wouldn’t pay a supermarket to look around at what they have to offer would you? So don’t do it with any suppliers! Be prepared to spend a lot of time do conducting pricing research. This is absolutely essential for all retailer sellers. Top sellers differ from other sellers in that they understand the amount of time that goes into pricing research and they get stuck in and do it! Pricing research will help you to determine whether it is possible for you to compete in a particular market. Go for suppliers who offer a guarantee or warranty for all items they sell to you. This is very important for keeping your costs down and profits up, as if you end up with a few faulty items, you need to be able to return them to your supplier, rather than refund your buyer yourself. This also helps to increase your sales as it gives buyers confidence in your products and your customer service. Usually, the warranty will be between you and the supplier – meaning if the items proves to be faulty, your buyer will return it to you then you will return the item to your supplier for a refund or exchange. Import your items! You can save (and make!) a lot of money by importing goods from abroad. Countries such as China and India are much cheaper to produce items in than Western countries which means you can make a lot of money when you sell them in your own country. How do they find these amazing suppliers? Call manufacturers directly – this can help you get in touch with the very best of their retail suppliers, and if you can call and say “Hi, I’m Mike. Gary from Precision Manufacturing gave me your number and told me you are the man to talk to about…”. You can find names of manufacturers by visiting Manta.com, an online directory of businesses in the US, UK, Australia, Canada as well as other countries. Here you can search for manufacturers by entering the name of the product you are looking into sourcing then following the links to the contact information for the manufacturer. Use online wholesale directories such as SaleHoo which lists over 8,000 of the very best suppliers on the web. Go beyond the Internet. There are other ways to find great suppliers – try trade magazines and trade shows – a great way to build all-important relationships with suppliers. You can find trade shows near you by Googling ‘your state + trade fair/trade show’ or if you are really serious, you can visit the massive trade shows held in China.